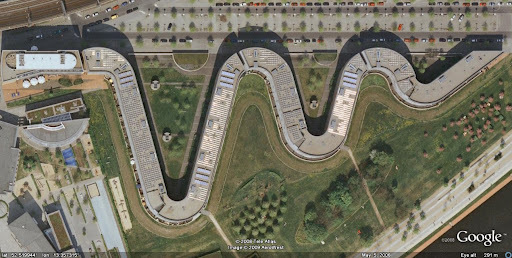 My previous post was about snake shaped river created by nature. 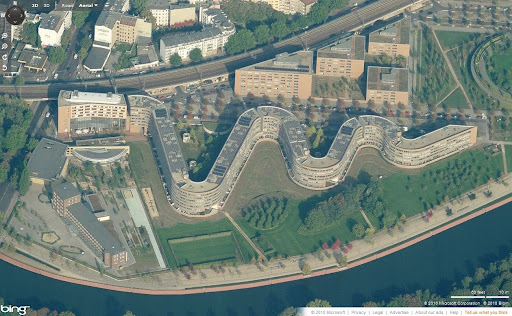 Here is “The Snake” building in Moabit Island, Berlin. It houses apartments for Civil Servants.